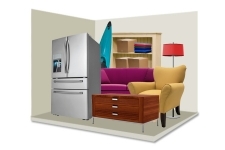 All unit illustrations are based on 5'x5' squares and 8' ceilings. CLICK FOR QUOTE 50 A mid-sized bedroom to include a queen sized bed, dresser, TV and a group of small to medium sized boxes. 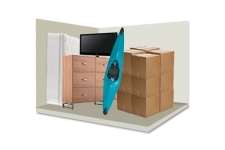 CLICK FOR QUOTE 48 Will hold a dresser, a small mattress set and small to medium sized boxes. This space could also be used for garden tools, seasonal decorations, or sports equipment like inner tubes for tubing or a bicycle. Think of it like a small closet. 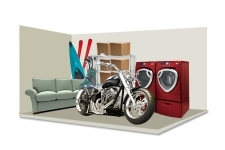 CLICK FOR QUOTE 100 This will easily fit a bedroom, a living room, some equipment and tools. 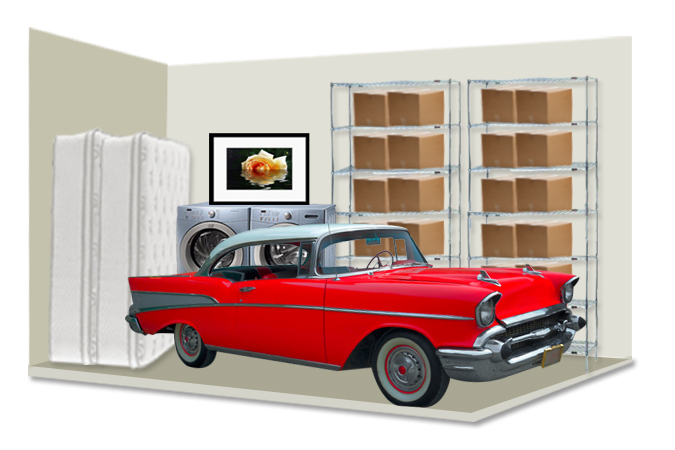 A mattress set, some lamps, artwork and some boxes. 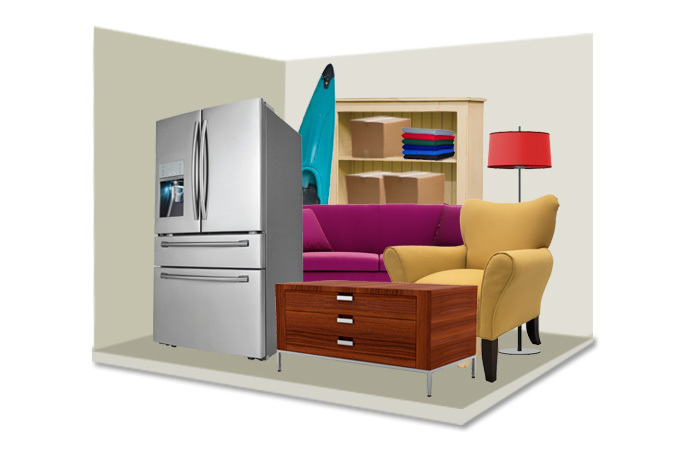 And a refrigerator. 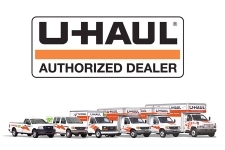 This is a good choice if you live in an apartment and have to leave for awhile like you are being deployed overseasas as servicewoman/man or are traveling abroad. 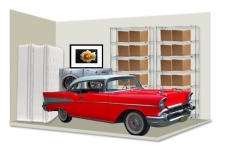 CLICK FOR QUOTE 150 This will hold the contents of up to three full bedrooms, and larger items such as pianos, couches, tables or large screen TV's. 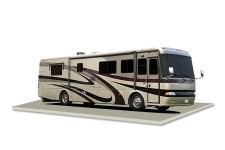 This can also serve as boat storage or storage for a camper trailer. 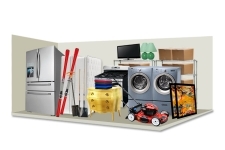 CLICK FOR QUOTE 200 A 4 - 5 bedroom house with major appliances and lots of boxes. Also a good choice for business storage racks and inventory for files and documents. 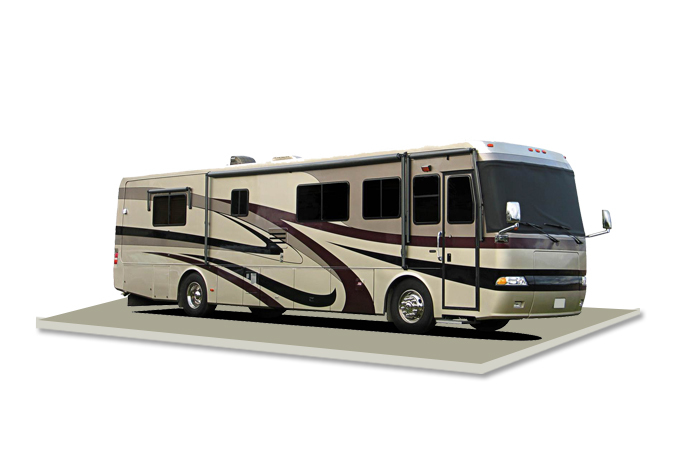 CLICK FOR QUOTE 288 Accommodates vehicles, campers, vintage cars & *RV's requiring attractively priced outside storage for seasonal purposes or to free up a garage. 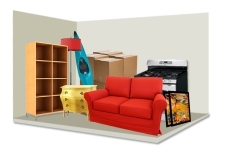 CLICK FOR QUOTE 250 A 4 - 5 bedroom house with major appliances and lots of boxes. 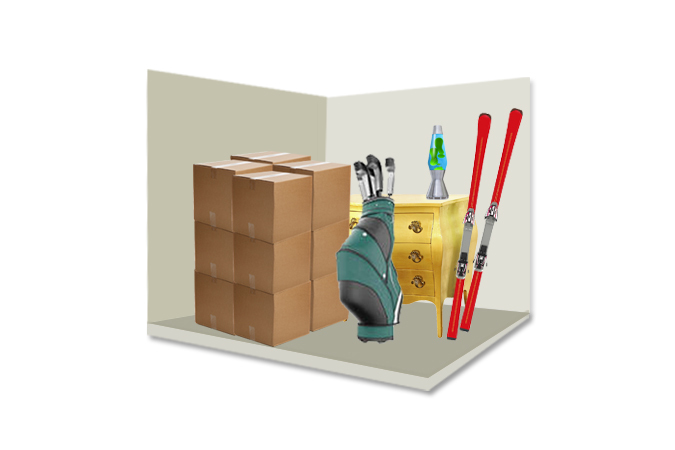 Also a good choice for business storage racks and inventory for files and documents. 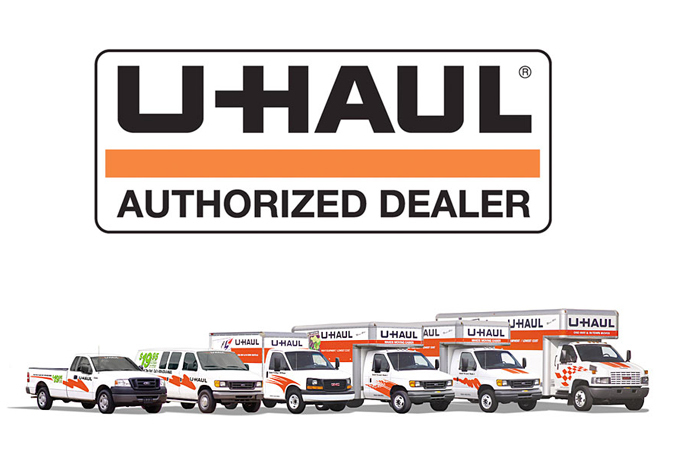 CLICK FOR QUOTE Variable We offer a varitey of U-Haul Options. Contact us for more info.